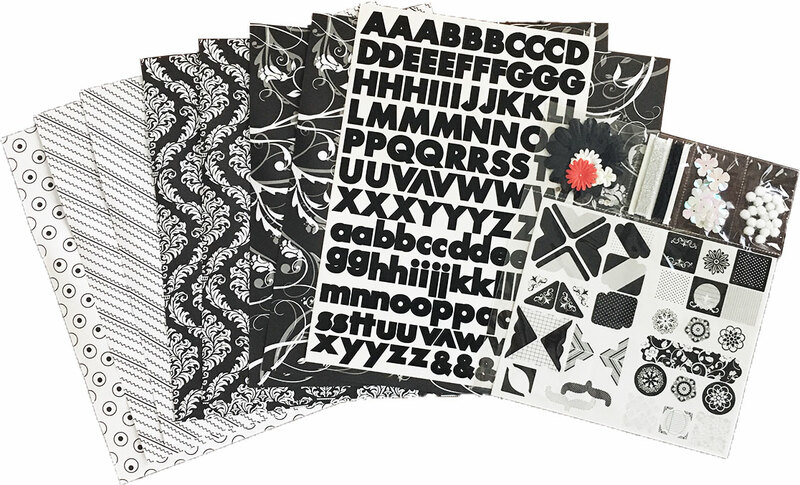 This monochromatic kit is great for commemorating beautiful wedding events. There are 8 sheets of paper, 16 element stickers, 135 alphabet stickers, embellishments, and photo corners. FREE SHIPPING!